WordPress Tips, Tricks, Hacks and more! 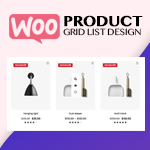 The ONE Subscription by TemplateMonster is a service that allows you to use thousands of pre-made website building products such as WordPress themes and HTML templates. This subscription will provide you with an opportunity to get everything for creating a website at once. Besides, the ONE is quite an advantageous service for those developers who build a lot of websites and do not want to spend money on buying all the necessary items separately. So let us explore the ONE Subscription by TemplateMonster to help you decide whether it is a great option for you or not. What Is the ONE and How You May Benefit from It? 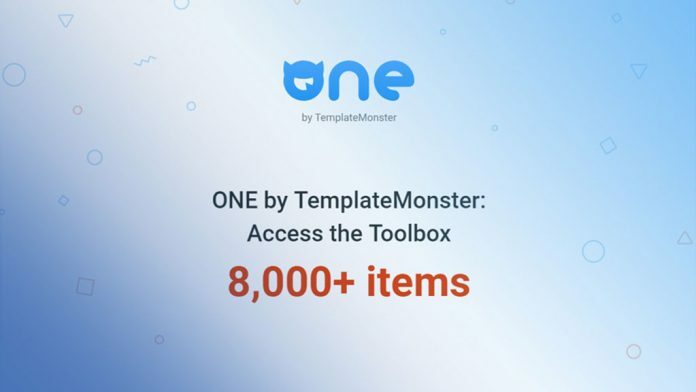 The ONE by TemplateMonster is a subscription service that will provide you with more than 8,500 items for building various websites for quite a reasonable price. Basically, the ONE has one pricing plan which is the annual subscription for $229 ($19 per month). 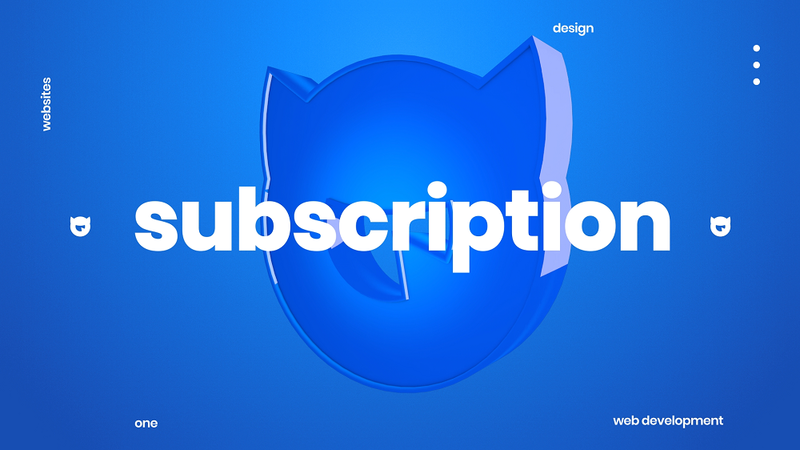 The subscription will open the access to all the templates, plugins, and graphics. Moreover, you will have unlimited installations, regular updates, and an excellent 24/7 support team, which you will be able to contact if you have any troubles installing the items. If for some reason you are not satisfied with the service, you can always return it within the 14 days after the purchase date and have your money back, but only if you haven’t downloaded anything yet. Speaking about money, the company follows a safe payments policy, which means that for payments they only use secure methods such as Visa, Mastercard, or PayPal. Moreover, unlike the other companies, TemplateMonster has a reachable support team. You can contact their support literally at any time. Furthermore, before buying the ONE subscription you can discuss all the pros and cons of the service in the Pre-Sales Chat or on their official Facebook page. The subscription itself comes with several useful services such as Installation Services, Hosting Services, SEO Optimization, and Extra Customization. To be more precise, Installation Services will help you to install the templates and set up the extensions, Hosting Services will help you to solve all the problems with hosting, SEO Optimization will improve your website’s traffic, and Extra Customization will help you to create a unique website that matches all your desires and needs. Will the ONE Subscription Work for You? Illustrators and graphic designers who need more styles, fonts, etc. These groups of people will probably benefit from the ONE Subscription the most, however, this does not necessarily mean that if you don’t belong to any of these groups, then you will not benefit from the subscription at all. In general, most of the people whose work is connected with the internet and creating the content for it will for sure benefit from the ONE Subscription by TemplateMonster. How Much Does the ONE Cost? The ONE Subscription has a pretty reasonable and affordable pricing plan, which is actually much lower than the pricing plans of the similar services provided by other companies. The annual subscription costs only $229 which is $19 per month. What Exactly Will I Get Access To? Of course, it is not everything, since with the ONE Subscription you are going to get regular updates every month. So the choice is really huge and you will for sure find everything for your website. Besides, finding the very thing you need would not be a problem, since the library is super easy to navigate. What about the ONE License? 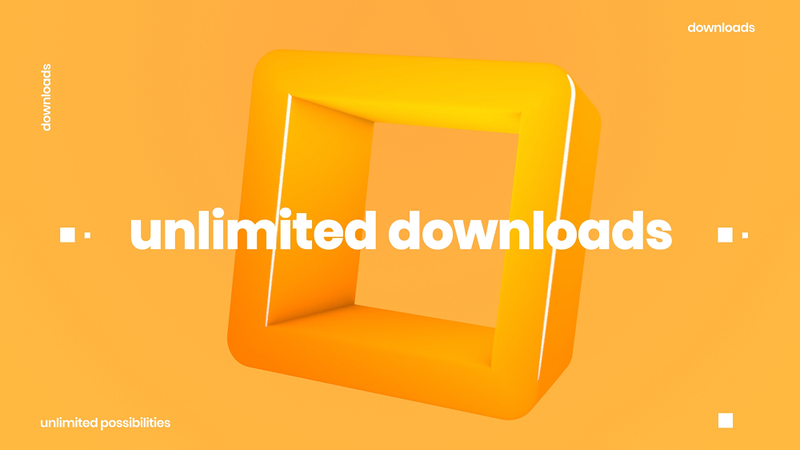 The ONE Subscription’s license is easy to understand and has no hidden tricks. The ONE comes with a yearly unlimited license which is valid for one year after the purchase and can be used on the unlimited quantity of installations. In other words, you can install any product as many times as you wish on the unlimited number of domains. With the yearly license you can utilize all the items provided by the subscription for making products for yourself and end-users. Note that you can use all the purchased items only with an active subscription, which means when your subscription expires, you will not have the access to the items anymore. On the other hand, the websites built with the ONE items will properly work even after the expiration of your subscription. One more important detail – you have to deliver the end-product that includes the items from the subscription to the end-user before your license expires. And of course, you always can prolong your subscription and continue using all the items in your new projects. Claiming your rights for the ONE Subscription products. As usual, utilizing the products provided by TemplateMonster is super easy. You can download and install any theme, template, or item literally in one click. The installation and customization process is easy and quick and, in case you have any problems, you can always contact their 24/7 support team. The library with all the items is super easy to use and you can sort the items according to various criteria in order to find the very things you need quicker. Pretty much everything is user-friendly and easy to figure out. 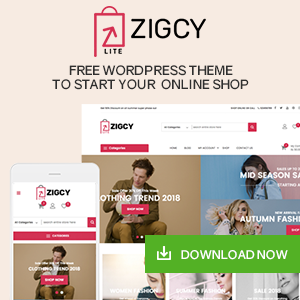 When you finally chose the very item you like, you can easily download a zip archive of the files, retrieve the files and, using the clear documentation that comes with the themes and templates, start installing a template of a theme onto your website. All the HTML templates and WordPress themes are pretty easy to customize, and again, if you have any troubles, the 24/7 support team will always help you out. Once you purchased the ONE Subscription, you get thousands of different items for building a website, but it’s not all. 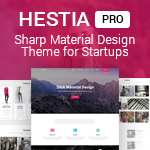 Every month you will get the updates with various new items, themes, and templates. 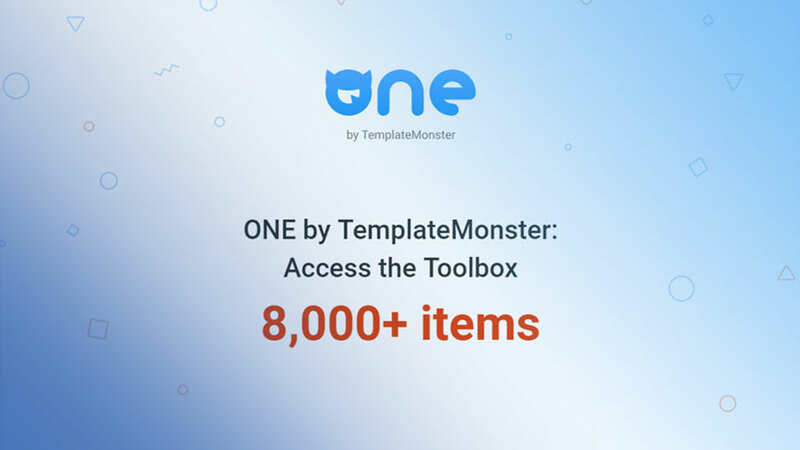 So the ONE by TemplateMonster will definitely provide you with everything you need. The ONE by TemplateMonster has really impressed me. I did not expect that nowadays a company can provide so much for so little money. Just $19 per month opens the access to thousands of high quality items for building websites. As a blogger, I know how important it is to have a professionally-designed and stunningly-looking blog. And I also know how expensive having a fancy blog is. 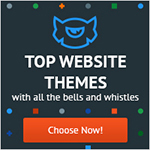 The ONE by TemplateMonster gives you unlimited opportunities to create professional high quality blogs and websites for such a small amount of money. In my opinion, the ONE by TemplateMonster is a great choice for the freelance developers who build a lot of websites and need a vast variety of design options. The ONE is also a great option for entrepreneurs who need a website for their company. Well, as I have already mentioned above, the ONE is the best option for all the people whose work is connected with the internet and creating the content for the internet. And of course, the one is the option for the smart people who want to get a high quality product for the lowest price possible. 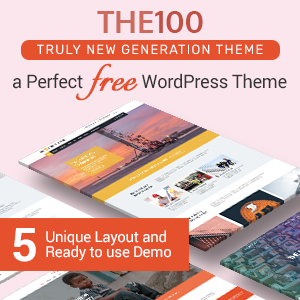 The only thing that concerns me about the ONE by TemplateMonster is the huge variety of choices that makes it really hard to choose between all the gorgeous themes and templates (but probably it’s just my weird concern and this is actually a huge advantage). Anyway, in general the ONE Subscription is an excellent service that provides you with lots of decent items for a pretty small amount of money. You cannot use the purchased items after the expiration of your license. After reviewing the ONE by TemplateMonster, I can certainly recommend the ONE to all the people who need a huge choice of HTML templates, WordPress themes, graphics, and plugins as well as a huge amount of visual content for quite a reasonable and affordable price. The ONE has everything one might need for creating a website, is super easy to use, and has a great 24/7 support service. So far, personally I have not found a better service in this field. So I choose the ONE by TemplateMonster and recommend it to everyone. Prithu Singh Thakuri is a team lead and writer at WPAll Club. A WordPress enthusiast and WordPress blogger, she enjoys exploring, learning and writing about WordPress. Besides WordPress she loves travelling, reading books and browsing new things/ideas on internet. Bloom vs OptinMonster vs Thrive Leads – Which is the Best WordPress Email Optin Plugins? Hey Buddy!, I found this information for you: "The ONE Subscription by TemplateMonster Review: Everything You Need for Building a Website". Here is the website link: https://wpallclub.com/the-one-subscription-by-templatemonster-review/. Thank you.